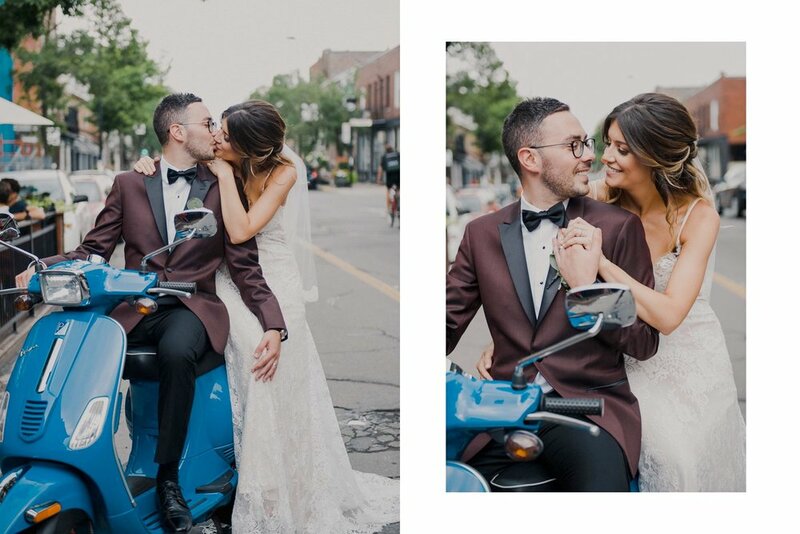 The wedding of Jessica and Marco - a chic and charming wedding set in Downtown Montreal at one of the most beautiful venues and best Italian restaurants in the city, Ristorante Beatrice. What's the first thing that attracted you to Marco? I think his energy. He looked like a lot of fun and was always smiling. 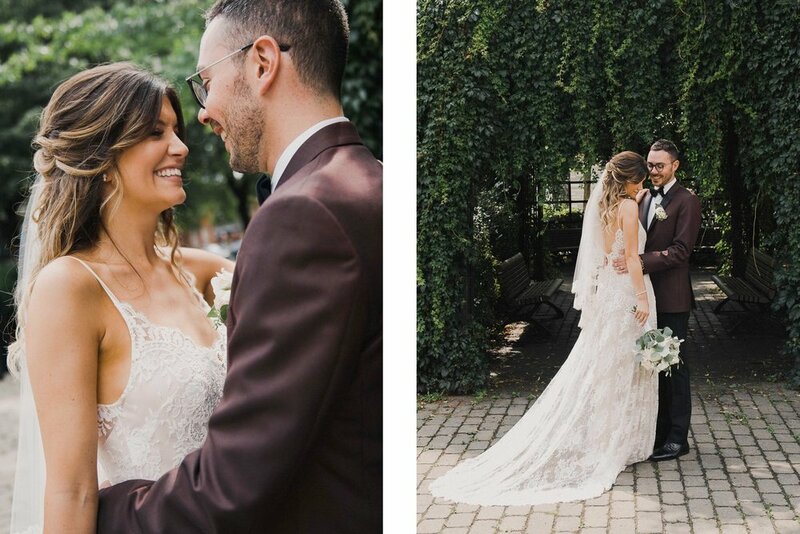 Jessica's wedding dress was custom made by designer Anais Anette at local bridal boutique Ma Cherie Bleue. We knew each other from school, but never actually spoke to each other. I then saw him at a Halloween party and pointed him out in the crowd and we started talking. We kept running into each other after that and he eventually worked up the courage to ask me out on a date. What attracted you to Jessica? Her smile, big eyes and positive energy. How did Marco ask you to marry him? He took me out for a Saturday stroll to the Market and on our way there he got down on one knee, in the rain, and asked me to marry him. As soon as I said yes, he told me he had a bunch of surprises in store for me that day.He brought me to a bar, where he had our best friends waiting for us to celebrate. We then went back home, where both of our families were waiting for us for a surprise engagement party. He then planned a romantic dinner for just the two of us. That night, we had a big party at our place with all of our friends to celebrate. What do you love about Jessica? The way she always believes in me, encourages me and supports me in everything I do. She is an awesome life partner. What do you love about Marco? His joy and passion for life. He is always ready to go. Bride portraits and wedding photography in the Old Port, Montreal. 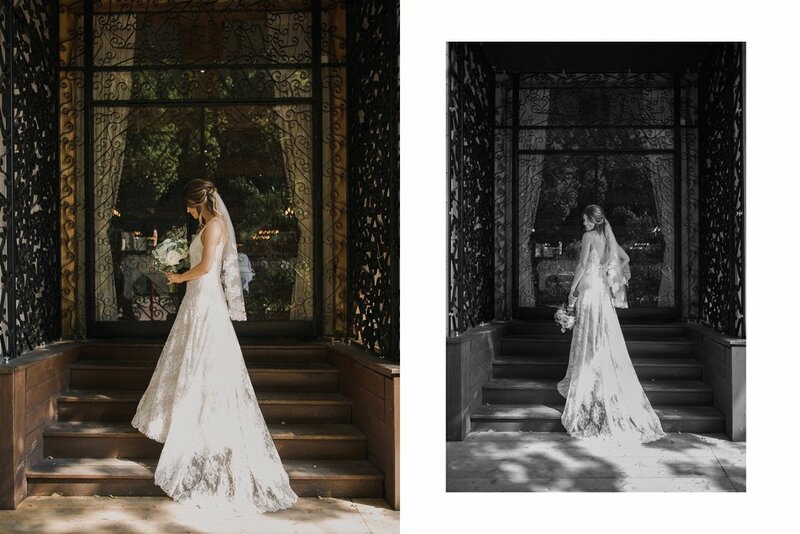 Jessica in her simply stunning wedding gown by designer Anais Anette, bridal boutique Ma Cherie Bleue. In case of rain, we had a backup plan to take wedding photos at Crew Cafe formally a 1920's bank building in the Old Port of Montreal. Luckily, we had fantastic weather but still decided take a few shots at this historical spot. I'm in love with the facade and the gold revolving doors of this building. The interior of the Crew Collective Cafe doesn't disappoint either, with it's gorgeous sky high ceiling, beautiful arched windows and a majestic stone stairway - a unique and perfect location for couple portraits and wedding photography. 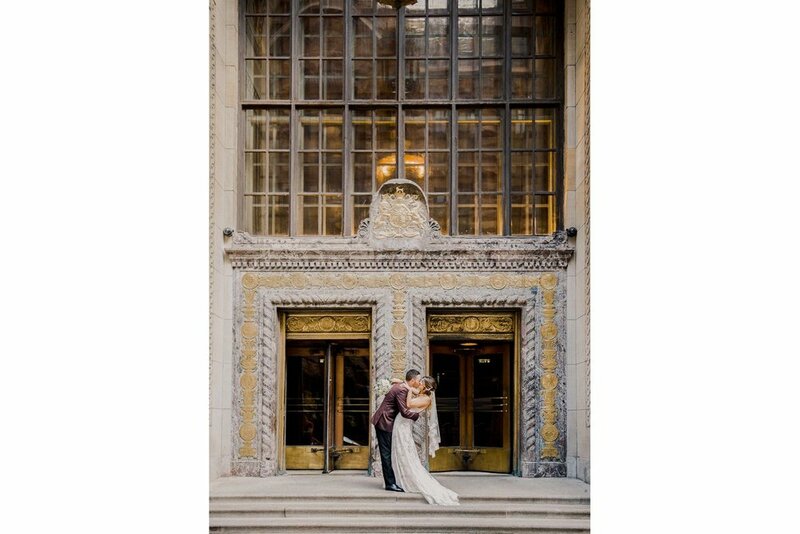 The beautiful doors of Ristorante Beatrice, perfect spot for portraits of the bride. Gorgeous dress by designer Anais Anette picked up at our favourite local bridal boutique Ma Cherie Bleue. Why did you select Ristorante Beatrice for your wedding day? Easy! The venue is stunning! 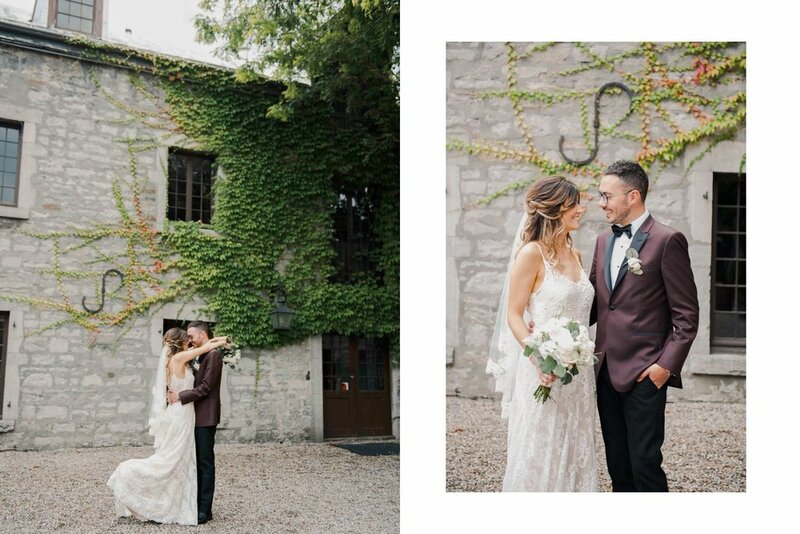 It had the exact look we were looking for (romantic and rustic) plus we knew the food was going to be phenomenal..which was a must for our wedding day! Jessica and Marco's wedding ceremony at Ristorante Beatrice, downtown Montreal, Canada. 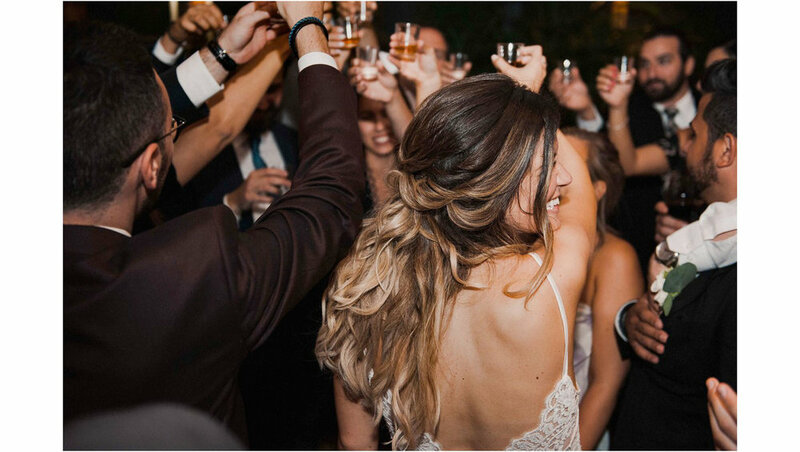 Wedding photgraphy in Montreal, Canada. 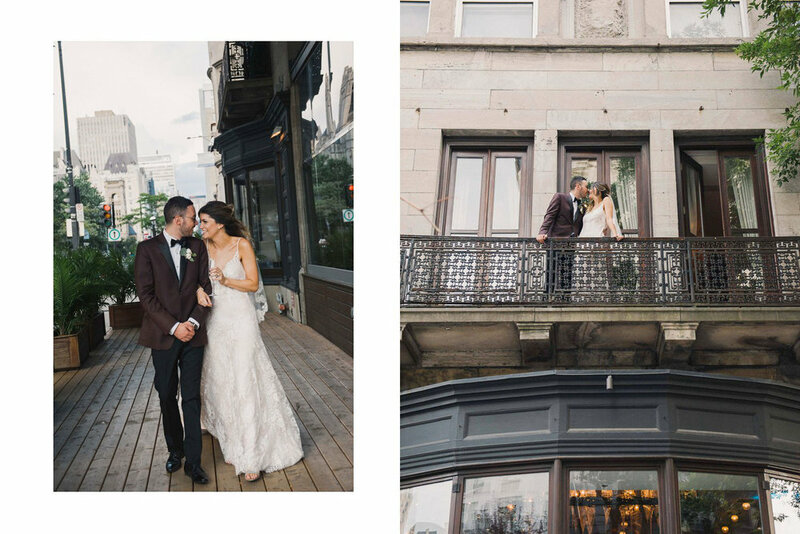 Wedding portraits of the happy couple outside of Ristorante Beatrice in the heart of downtown Montreal. 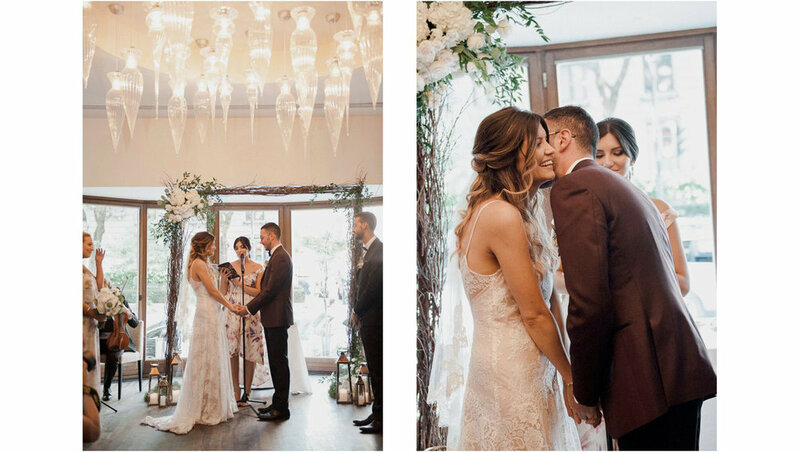 Jessica and Marco's elegant and rustic wedding decor at Ristorante Beatrice. What was the most challenging thing about planning your wedding? The guest list! When you come from an Italian family, it is extremely hard to have a "small" wedding. Beautiful reception decor at Ristorante Beatrice, Montreal. Jessica and Marco's first dance, wedding photography in Montreal. Best moment of your wedding day, Jessica? If I had to single out one moment, I would say our first dance. It was surreal. Best part of your wedding day, Marco? Can we say the whole day? We were high on life the entire day! There was a 90% chance of rain and thunderstorms on our wedding day, but it ended up being a beautiful sunny day. We got so lucky! Also, seeing how stunning my wife looked. Everywhere we stopped for pictures we were interrupted by strangers who told us how absolutely breathtaking the bride looked. Not one compliment for the groom lol but I never stood a chance, she was on fire. Her smile on that day was even more beautiful than her perfect dress.